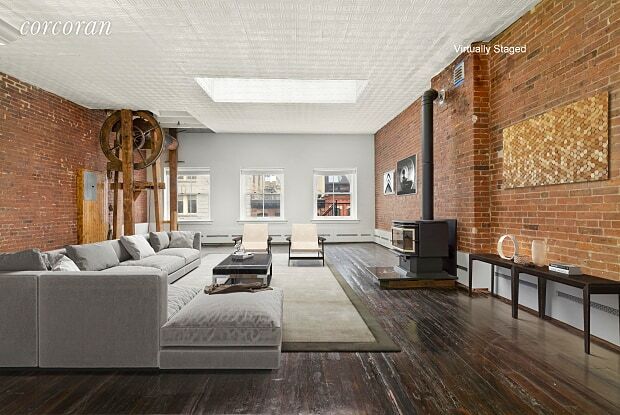 A classic TriBeCa loft offering 1800 square feet of authentic loft living with modern luxury finishes, in the center of downtown Manhattan'a most exciting neighborhood. Spacious open-plan living and dining room that offers enormous room for entertaining. Living space features three over-sized windows and two large skylights, flooding the space with southern light. 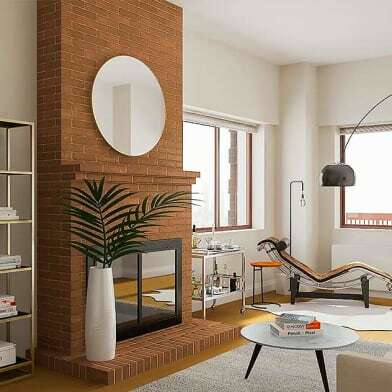 Exposed brick and tin ceilings throughout the apartment with a working wood-burning fireplace in living room. Currently configured as a 1BR/1BA but easily converted to accommodate 2nd BR (owner will pay to convert). Bedroom has two windows and set in the back of apartment so pin-drop quiet. 1 en-suite windowed bathroom features updated high-end fixtures, Hastings tiles, heated floors and Japanese washlet / bidet toliet. 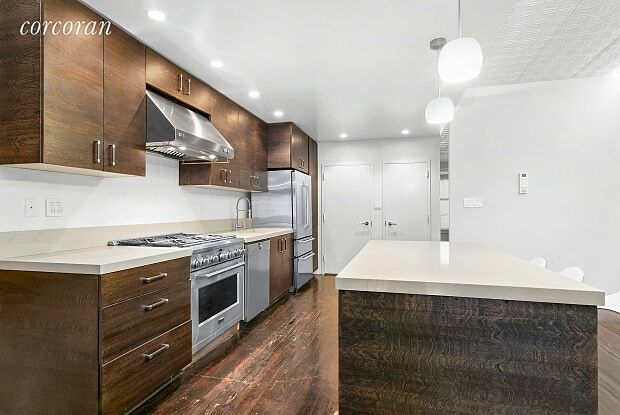 The Large kitchen is outfitted with stainless-steel top-of-the-line appliances including a 6-burner GE Monogram Stove that vents out and Miele dishwasher. 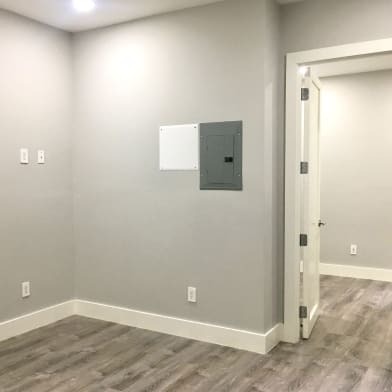 In-unit amenities include: Bosch eco smart, active dry, dynamic air Washer/Dryer (vented out), Mitsubishi split heating and cooling system, NEST Thermostat, wood-burning fireplace, Siedle Video Intercom system to announce visitors. Living room features unique antique elevator shaft dating back to November 4, 1897. Apartment features walk-in closet with custom built-ins. 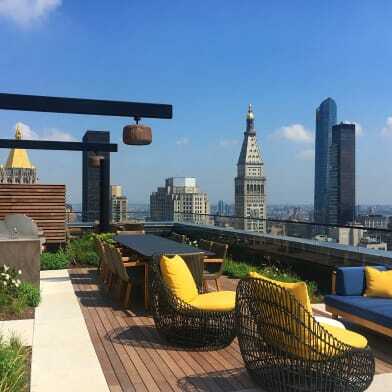 The building is located in the heart of TriBeCa, with many of Manhattan's best restaurants close-by, alongside a full range of iconic NYC destinations, from the uber-stylish Frederick boutique hotel to longtime local favorites like Zucker's Bagels and Smoked Fish. 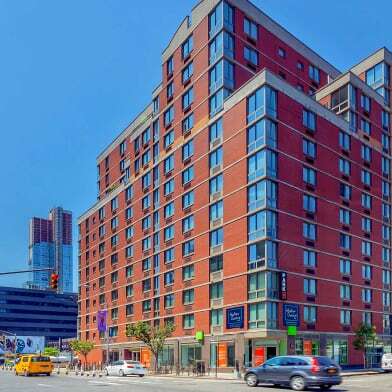 Hudson River Park is two short blocks away, FiDi office buildings closeby, and the 1/2/3 subway entrance is directly across the street, with the A/C/E, 4/5/6 and R all just a few blocks. Available immediately. 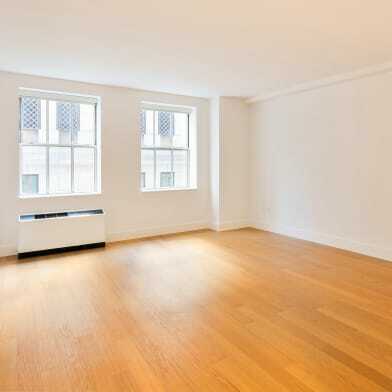 Currently unfurnished but can be available furnished for higher price. Please inquire about furnished price. 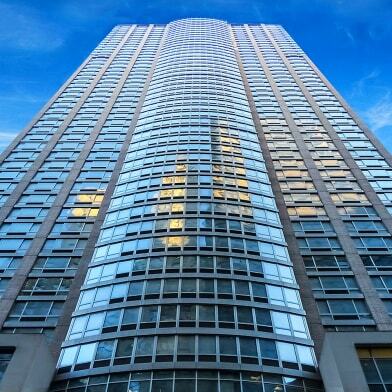 Have a question for 143 Chambers Street?